Ambitious plans for the expansion of Argo Tractors operations in France will be underpinned by a new, modern headquarters facility south-east of Lyon. Construction got underway when the first corner stones were laid for the new Argo France base at Vaulx-Milieu to support the distribution of Argo’s Landini and McCormick tractors in the country. The new Argo France site will be a national training centre, with the technological resources and know-how to support dealers and their customers. The foundation stone-laying ceremony was attended by top management of the family-owned Argo Tractors business and the local French authorities, including the local mayor, Mr Dominique Berger. An enlarged dedicated sales team will work to establish new dealer partnerships, while customer satisfaction, the importance of the company and dealer image, and the group’s “Company 4.0” digital transformation are well established elements of the branch’s approach. 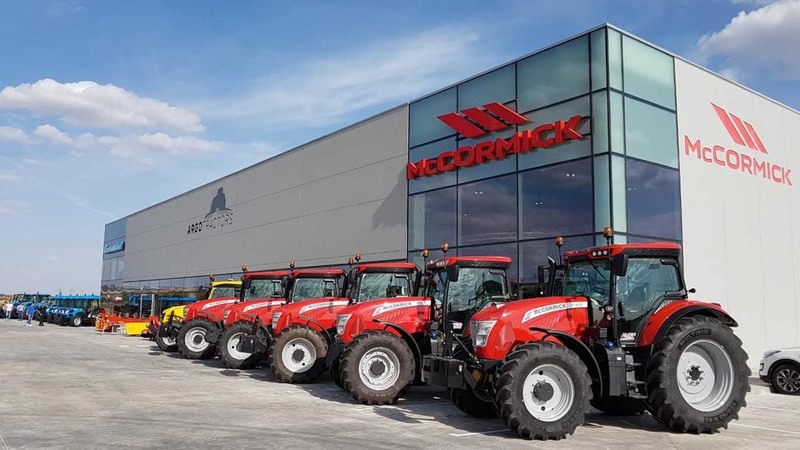 “The digital and marketing challenges are the focus of the Argo France strategy, which also strives to ensure maximum support for the Landini and McCormick dealerships,” said Jean Luc Fernandez. Simeone Morra, Corporate Business Director of Argo Tractors, said: “We are a big family group, growing fast and with a significant international presence. We can be proud of our excellent range of tractors and we constantly invest in new tractors and processes. An enhanced presence on the market with the opening of new branches and new commercial agreements with strategic partners are part of the development plans of Argo Tractors, which has been increasing its key numbers in recent times. The Italian group is also focused on markets in which the Landini, McCormick, and Valpadana brands have potential for growth, such as Russia, India, China, and Africa, using the group’s South Africa branch in Johannesburg as a jumping off point to markets where new investments and increased sales resources can be focused. “The means for achieving these objectives are many,” continued Simeone Morra. “Our action plan foresees investment of resources to create a more extensive and competitive sales team, implementing a distribution network based on new partnerships, but also pursuing a strategy of marketing and communication within the framework of digital transformation and “Company 4.0” projects.